The keynote was great, the demos are cool and there’s free food and drink for everyone there — but don’t kid yourself, Google I/O 2016 is the conference version of hell. 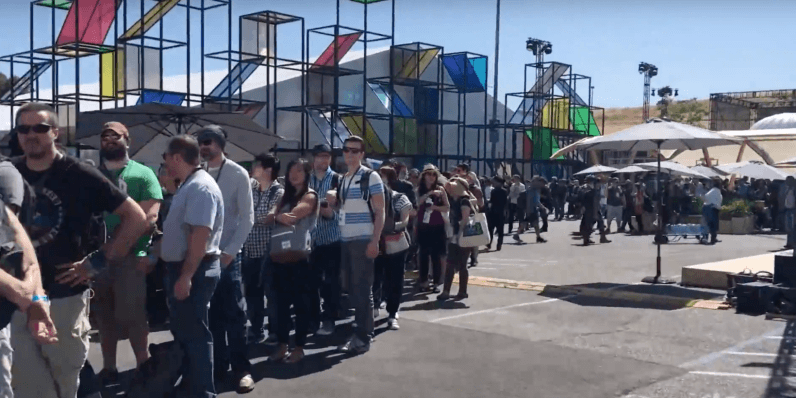 Lines that span 90+ minutes, attendees being turned away at the door after waiting in said lines, and 93 degree heat with no discernible way of cooling off — aside from grabbing an Uber and bailing — are the talking points (at least amongst attendees) of I/O, not tech. We did witness some really cool announcements (Daydream, Allo, Duo, Android Instant Apps, Google Assistant) and some long-awaited updates (Android N, Android Wear 2.0), but all were eagerly overlooked while overheated journalists hurried to file their stories and get the hell out of there. Granted, Google can’t control the weather, but with over 7,000 attendees and a weather report that detailed dangerous heat, it could have done a little more. Cooling stations would have been a nice start, but I think most of us would have settled for bigger venues for the side sessions, and an inkling of just how big a problem it is when journalists descend on Mountain View from all over the world to attend I/O, and then get turned away at the door for panels they’ve had lined up for over a month. In a word, it was hell, but we’ll be back tomorrow for day two.